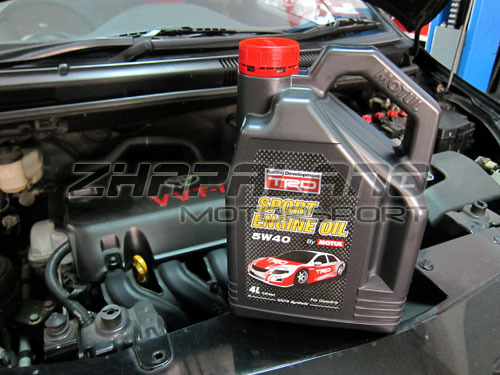 TRD Sport Engine Oil 5w40 is developed from the collaboration between TOYOTA RACING DEVELOPMENT and MOTUL. Specially formulated with unique technology to protect emissions control systems in gasoline passenger cars without any compromise in racing performance. 100% synthetic engine oil meeting ACEA C3 and API SM performances.